For two days now, we have this unusually warm temperature. Which is a good thing. Actually, the temperature actually reached 43 degrees Fahrenheit today. Which means that the snow melts. It actually did, most of the snow melted. I finally got to see the green grass underneath again. The place is deserted by now. Only a few lights are lit in this apartment complex. Most of the people went back to their hometowns for the holidays. I seem to have picked up interest on symphonic goth metal, especially the bands with female vocals, who have dark and epic lyrics. 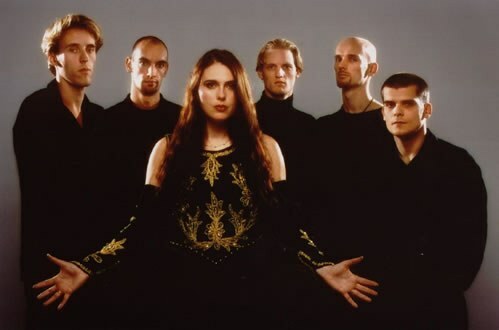 These include Evanescence, Within Temptation, Lacuna Coil, and Nightwish. Check these bands, they are awesome. I better go. I feel like fading out tonight. Great - I always love getting rid of snow! Too bad it'll probably be back agaib, though. hey thanks for stoppping by! may stop over nga sa Dubai, pero ok lang kasi naaaliw naman ako sa Duty Free..
hope to see you back at my page!